It’s been a busy first two weeks of the year! I moved into a bright, new office on Marlborough Street and just couldn’t get my act together until now to blog… Consider me back in action! Just before the holidays, I visited my dear friend Joy near Miami, Florida. 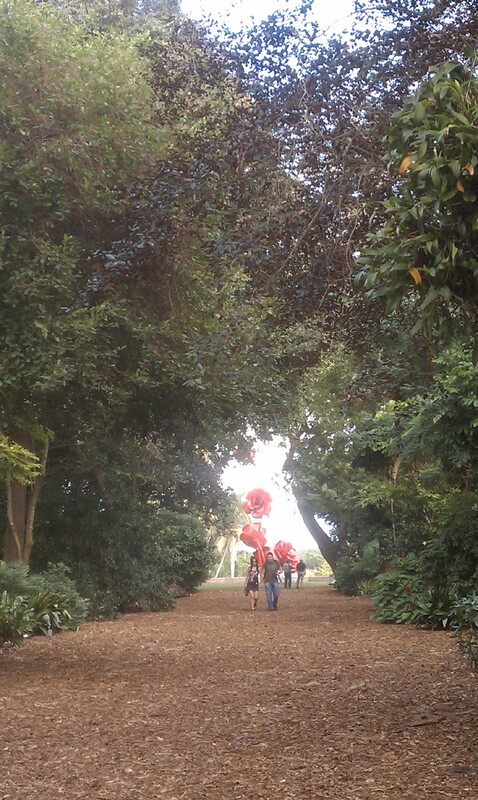 As a special treat, she took me to the Fairchild Tropical Botanic Gardens. What a wonderful place! Gorgeous, leafy trees and delicate flowers in bloom. Wide lawns, curvy paths and a lovely lake. There are plinking waterfalls found off spongy paths filled with shadows and earthy smells. Amid all this beauty, there were odd, curvy shapes of red on the land and floating in the lake. 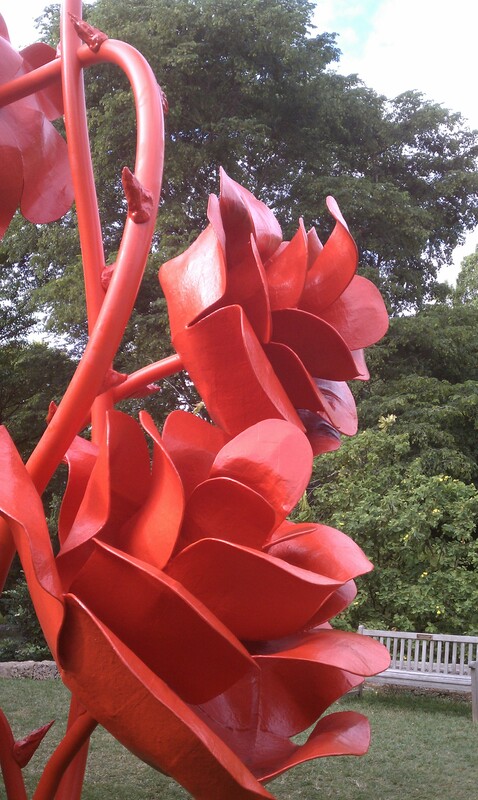 It wasn’t until we came upon a very tall (30 feet) and willowy sculpture of red roses by Will Ryman, that we realized that the red bits were petals “blown off” the enormous roses. Delightful! I’d never heard of Will Ryman before but I have become such a fan! Take a look at this CBS Sunday Morning segment on Ryman’s installation in New York City’s Park Ave.
I’m going to advocate with the good people at the Rose Kennedy Greenway to see if a Ryman installation is possible here in Boston next winter. What a boost to the spirit these roses would bring to Boston during its darkest and dreariest days. Pictures of the Icon 2011 Yellow Roses by Ryman are below. The red roses are called Origin 2011. 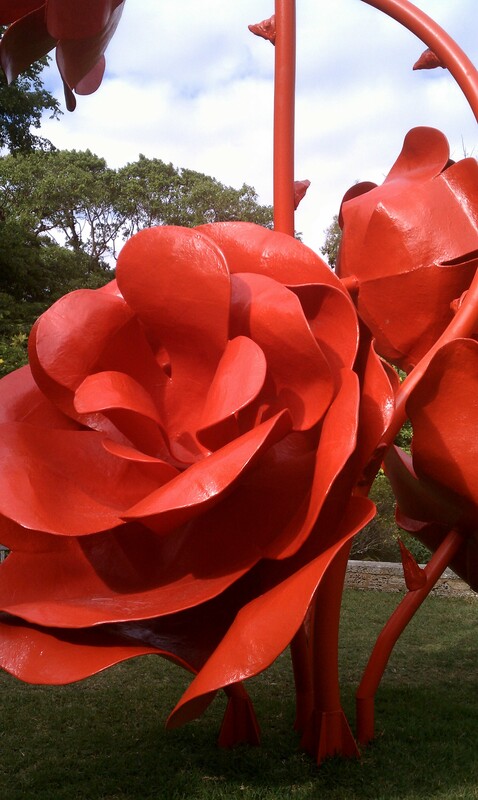 FYI: All the roses are shaped from fiberglass, stainless steel and marine paint. Enjoy! 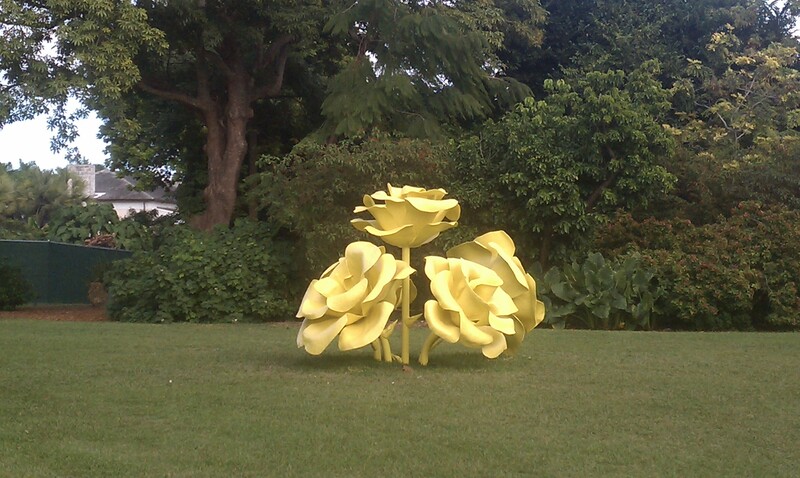 I see what you were talking about…these flower sculptures are very original! Thanks for sharing. 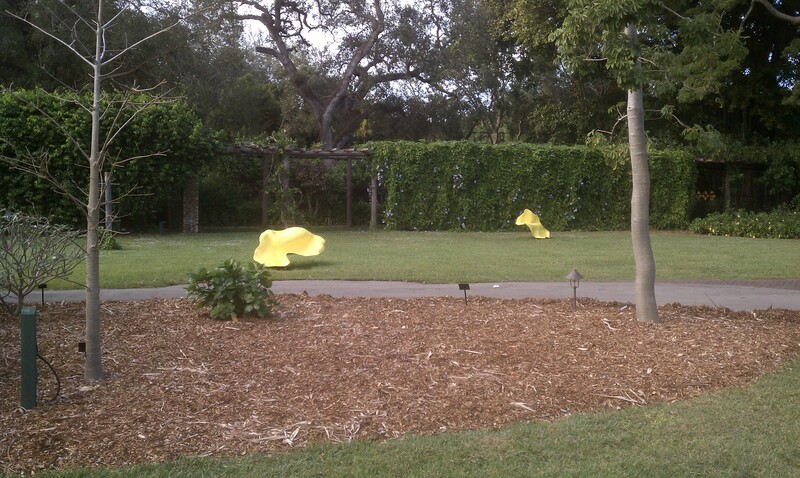 I found the sculptures full of whimsy. And yes, very original. Thanks for the comment!